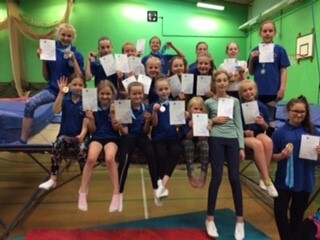 Sunday 10th June saw us all heading to Strode College Street for the Annual Griffin Friendly Novice Trampoline Competition. 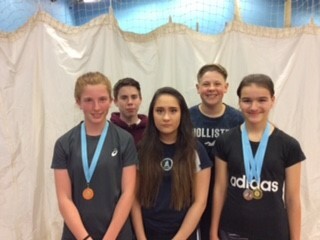 51 bouncers representing our local centres competed for individual and team medals and 50 medals in total came home with us on Sunday afternoon, 38 of which were achieved by trampolinists from Honiton, Broadclyst and Ottery Leisure Centres. There were 22 competitors from Honiton, 10 from Broadclyst and 7 from Ottery. The rest of the team gaining 12 medals were made up from bouncers from Teignbridge , some of which train at LED centre too. 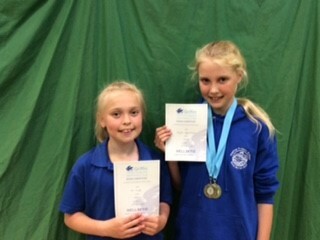 Well done to everyone who competed, an absolutely fantastic effort to you and your parents. Thanks to the coaches and especially the helpers who were thrown into officiating jobs they had never done before. Special thanks go to the Lapping family who kept us all going with their delicious homemade cakes. Everyone should be very proud of themselves as we the coaching team are of you. You are all stars!!! Well done.???? This entry was posted in by Andrew Dare. Bookmark this permalink.